Who doesn’t love an organized home? 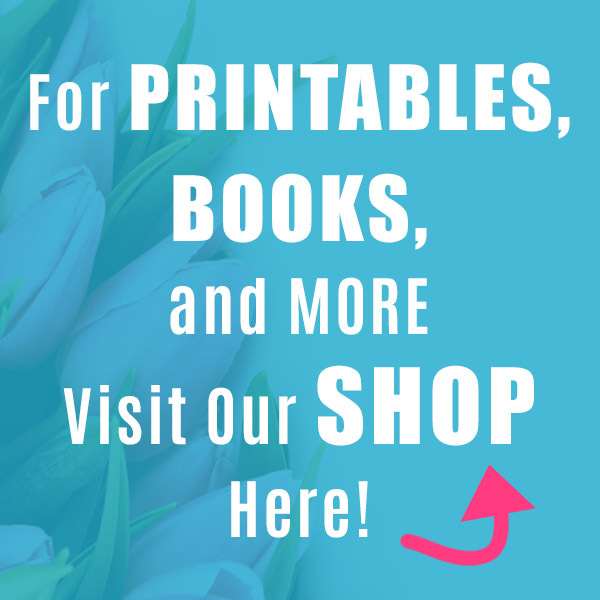 Having things where you can easily find them really makes life a bit easier! You don’t have to spend lots of money in order to have an organized house! 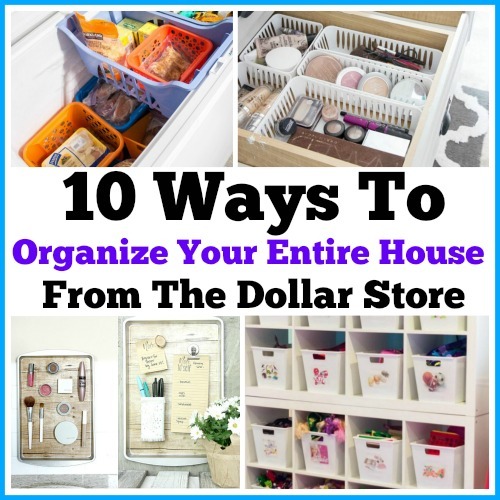 I’ve collected some great ways to organize your entire home from the dollar store. Practically every room in your house is covered (the kitchen, laundry, bathroom, playroom and more)! 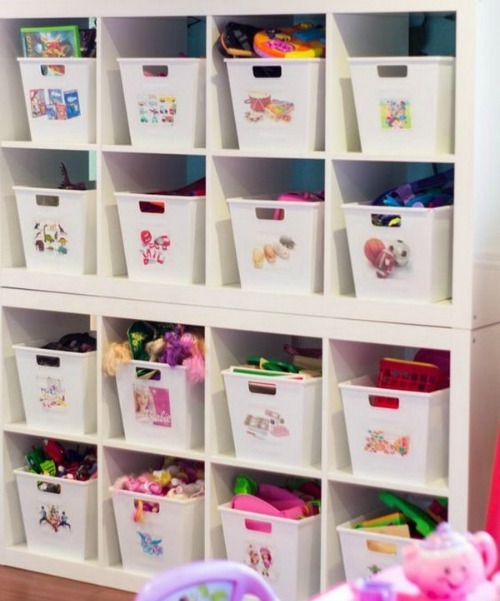 Check out the list below for some inexpensive yet effective organizing ideas from the dollar store! 1. 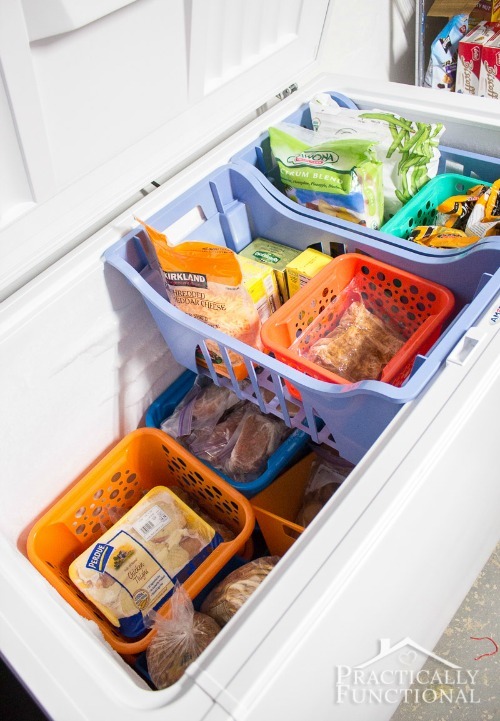 Jess from Practically Functional found a genius way to use dollar store bins to organize her chest freezer! She gives you a great tutorial for how to arrange the bins and even has a post about how she maintains her freezer inventory. 2. Check out how That’s What Che Said used a wire organizer (normally used for foil & plastic wrap) to make storage for cutting boards. You can get these wire organizers pretty much anywhere, the dollar store, home improvement stores, and on Amazon here. What a great way to use the inside of a door! 3. The Dollar Tree sells packages of plastic baskets (3 for $1) that are perfect for organizing drawers. 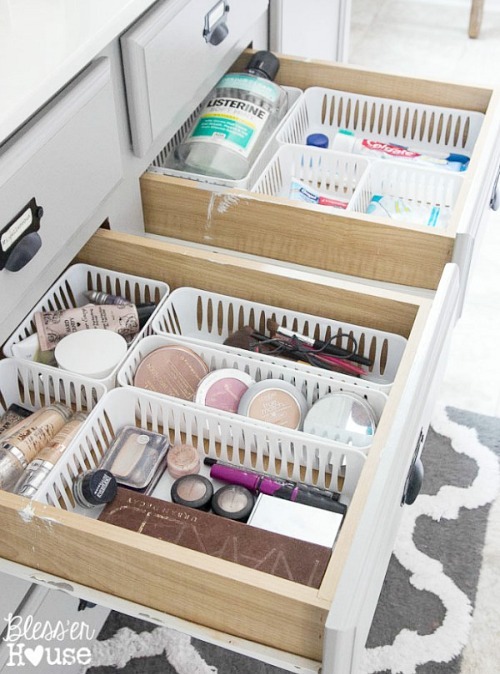 Check out how Bless’er House made over her master bathroom and organized her bathroom vanity with these inexpensive baskets. 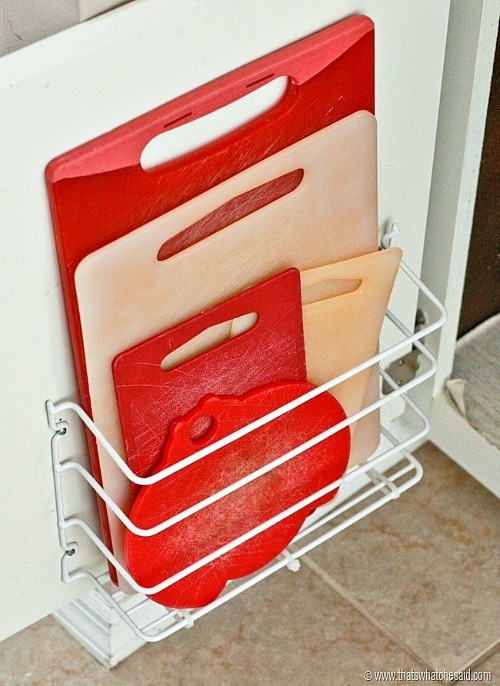 They work great in the kitchen too! 5. 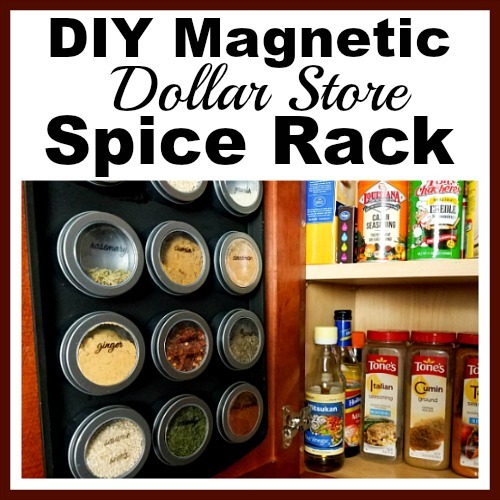 Here’s a great way to organize your spices with dollar store items. 6. 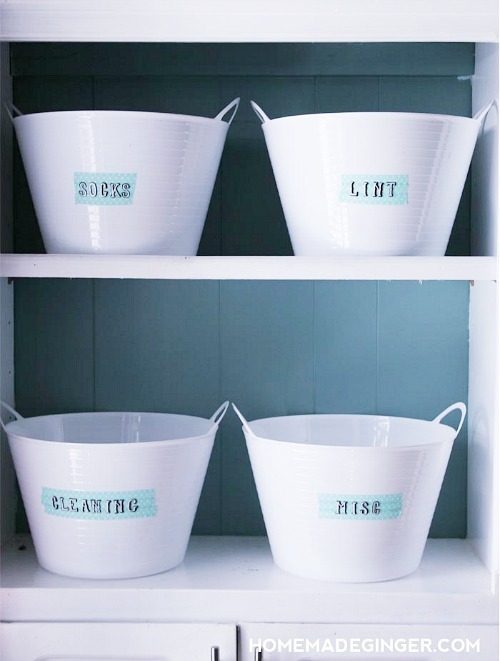 Dollar store bins are used in this laundry room organization. Homemade Ginger used simple white bins and an usual technique for labeling to create some needed storage in her basement laundry room makeover. 7. 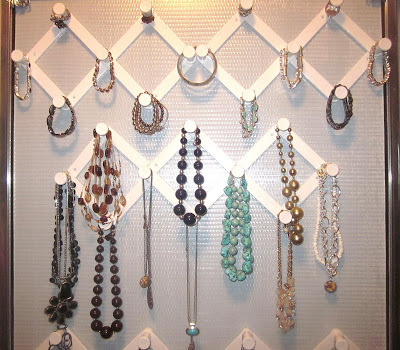 Easy to find accordion hooks from the Dollar Tree are used by Adorable Antics to organize jewelry. What a pretty way to store your necklaces and bracelets and still have them accessible! 8. 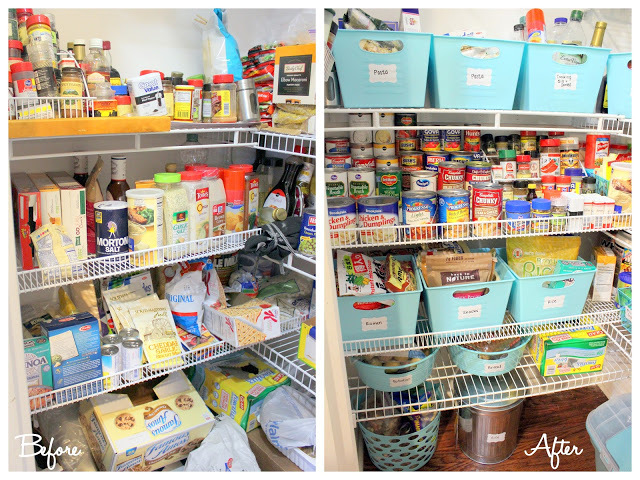 Dibble Dabble did an amazing job re-organizing her pantry with dollar store bins. Love those aqua bins!! 9. 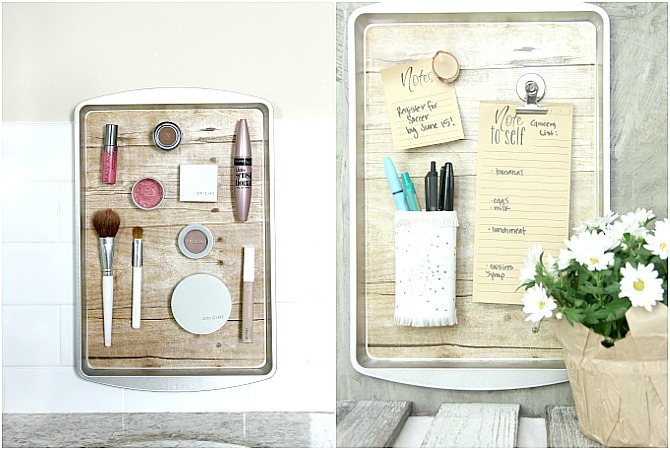 The Crazy Craft Lady made two DIY magnetic organizers from dollar store cookie sheets! What a cool idea for the bathroom and office! 10. 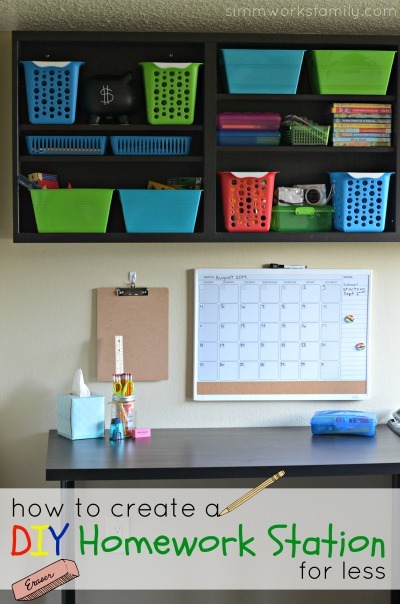 Here’s a DIY homework station using dollar store items from A Crafty Spoonful. Getting organized is quite inexpensive when you use supplies from the dollar store! Which of these organizing ideas is your favorite? 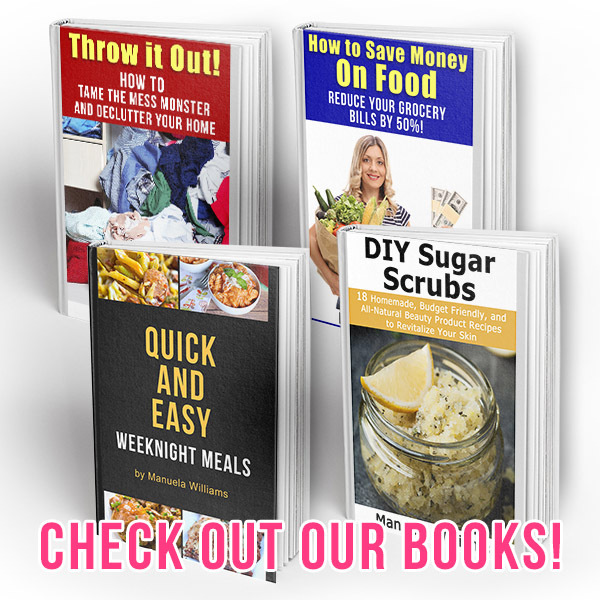 Want to easily get your whole life organized? 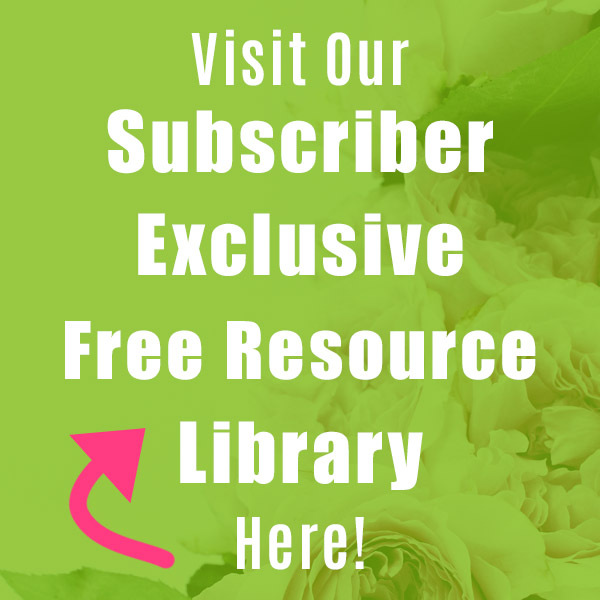 Click here to get our printable ultimate life binder! 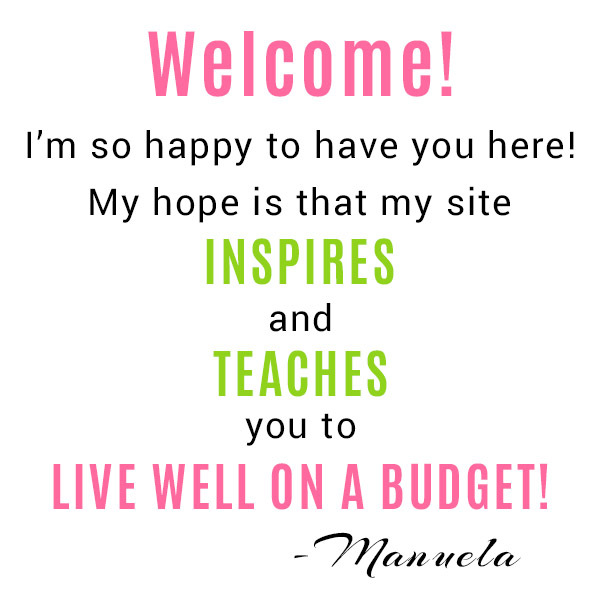 It contains a home binder, budget binder, + recipe binder and has 100+ printables! know what to do with them…after reading this I have no problem with finding a great use for them.